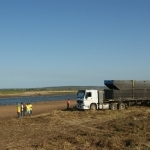 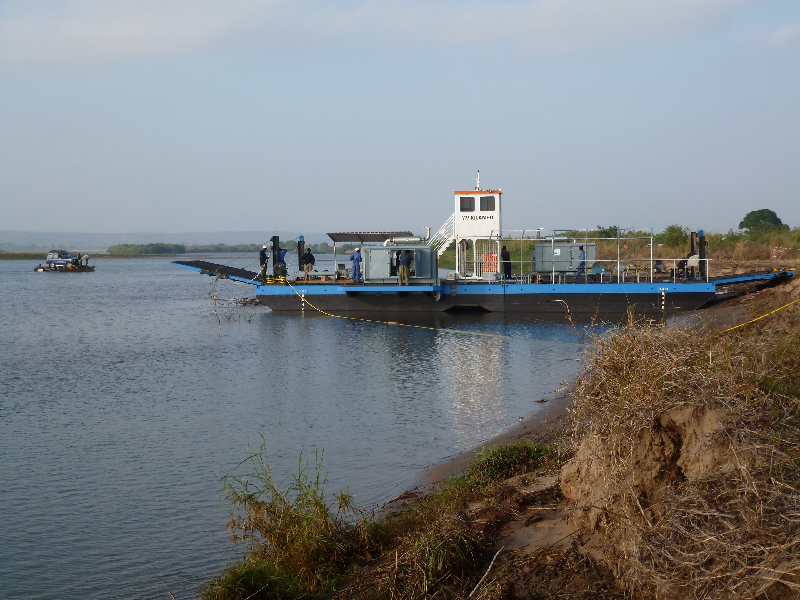 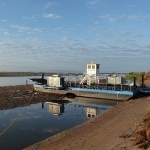 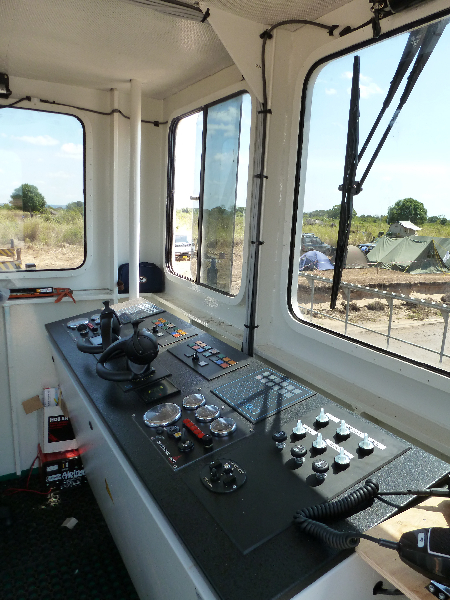 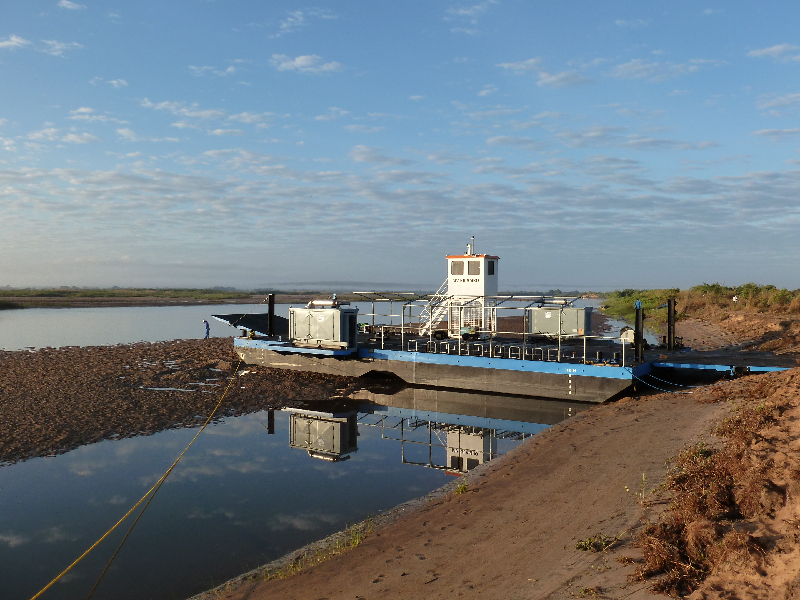 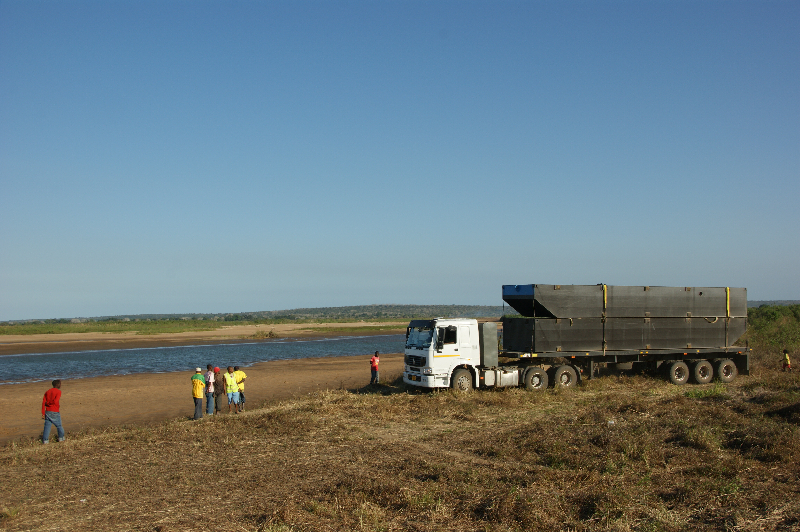 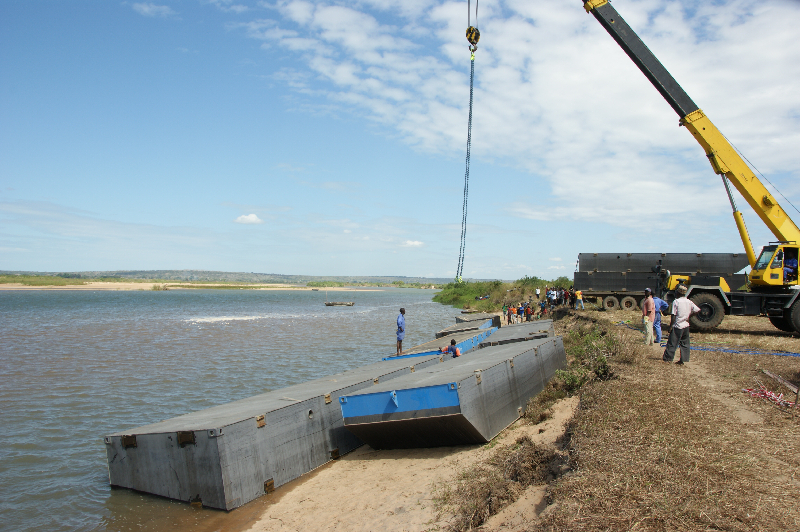 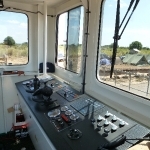 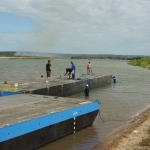 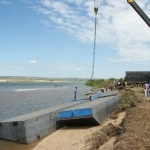 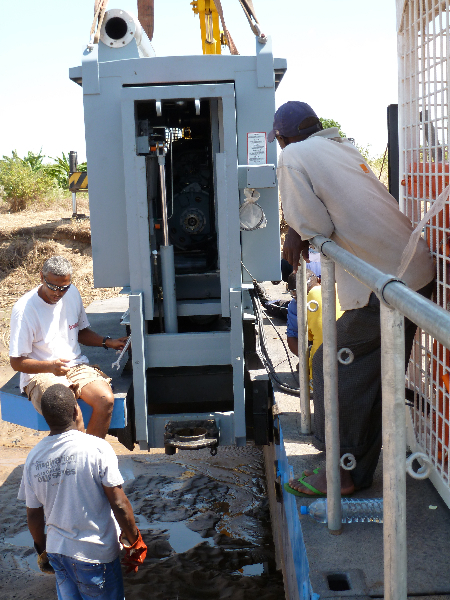 Assembly and testing of one modular Ferry on the border of Tanzania and Mozambique. 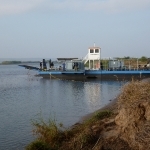 This modular Ferry was constructed in the Netherlands. 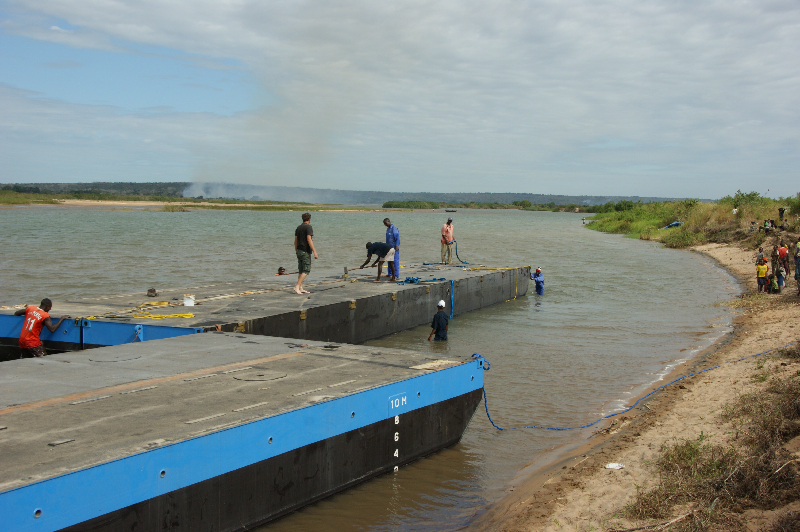 It consists of 8 individual pontoons that can be rigidly coupled to form one large pontoon. 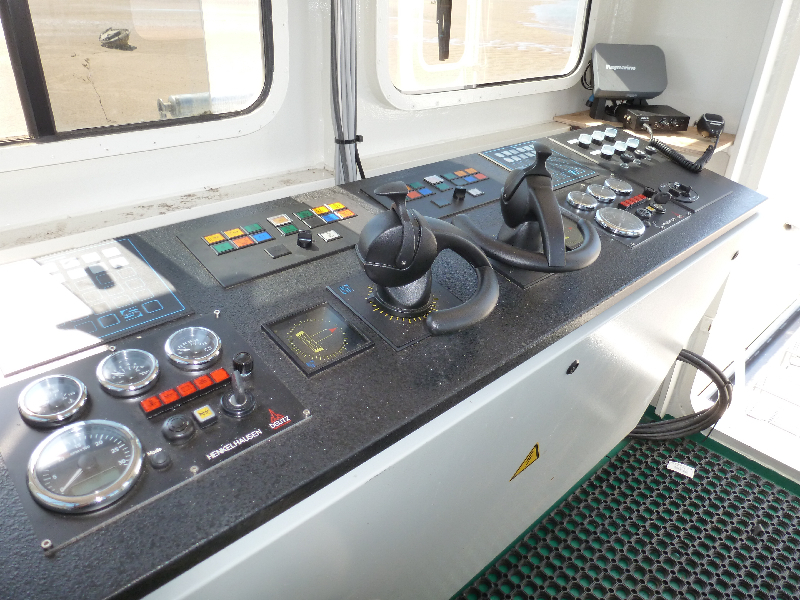 The Ferry is equipped with two Schottel Rudder Propellors (SRP 60) with hydraulic dept adjustment. 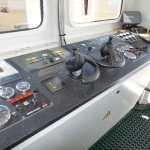 Contractor: Dutchmed International BV, the Netherlands.